Audioboom / Why we should save Sydney's Sirius Building! If you’re interested in Sydney architecture and development politics, you’ve probably heard about the Sirius building in The Rocks. Built during the late 1970s and opened in 1980, the Sirius social housing development was really progressive for its time and a landmark example of the controversial brutalist movement. Over the years, architects and the wider community have embraced the Sirius building and are determined to preserve and protect it. But now, the building is facing its biggest ever-challenge, with attempts to sell it off to private investors. 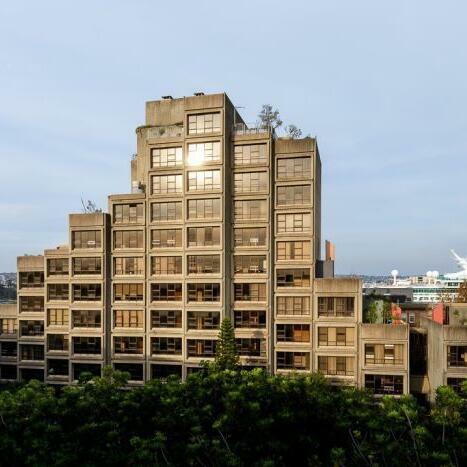 Local design venture “Outwork Store” has been part of the campaign to save Sydney’s Sirius from the wrecking ball. Outwork Store’s Paul Conley joined Katie and Jack in Drive to chat about the “Souvenirs for Sirius” project.